Adial Pharmaceuticals, Inc. (NASDAQ: ADIL) shares jumped 104.93 percent to close at $4.16 on Thursday after the company announced it would expand its alcohol abuse treatment into the opioid abuse market. AgeX Therapeutics, Inc. (NYSE: AGE) shares rose 25 percent to close at $3.80. Qudian Inc. (NYSE: QD) climbed 20.15 percent to close at $6.32 after the company issued 2019 guidance and reported a $300 million new share repurchase program. Health Insurance Innovations, Inc. (NASDAQ: HIIQ) gained 19.08 percent to close at $35.82. Concrete Pumping Holdings Acquisition Corp. (NASDAQ: BBCP) gained 16.82 percent to close at $9.93. Zai Lab Limited (NASDAQ: ZLAB) rose 16.71 percent to close at $24.72. Qutoutiao Inc. (NASDAQ: QTT) shares climbed 16 percent to close at $5.22. Forty Seven, Inc. (NASDAQ: FTSV) shares gained 14.95 percent to close at $22.45. Loop Industries Inc (NASDAQ: LOOP) gained 14.1 percent to close at $8.01. Yulong Eco-Materials Limited (NASDAQ: YECO) gained 13.9 percent to close at $5.08 after the company acquired Michelangelo's Pieta for $75M worth of Yulong shares. Meili Inc. (NYSE: MOGU) shares rose 13.79 percent to close at $16.50. Kezar Life Sciences, Inc. (NASDAQ: KZR) jumped 12.29 percent to close at $32.90. Ecology & Environment, Inc. (NASDAQ: EEI) gained 12.2 percent to close at $11.50. Inovalon Holdings, Inc. (NASDAQ: INOV) shares jumped 10.79 percent to close at $13.96. PPDAI Group Inc – ADR (NYSE: PPDF) shares climbed 9.82 percent to close at $4.92. AutoWeb, Inc. (NASDAQ: AUTO) jumped 9.59 percent to close at $2.40. Ciena Corporation (NYSE: CIEN) rose 8.62 percent to close at $34.91 after the company reported upbeat Q4 earnings and announced a new $500 million share repurchase program. Vince Holding Corp. (NYSE: VNCE) rose 8.18 percent to close at $10.98 after reporting Q3 results. General Electric Company (NYSE: GE) rose 7.3 percent to close at $7.20 after the company announced the launch of a new $1.2 billion Industrial IoT software company and agreed to sell majority stake in ServiceMax to Silver Lake. JP Morgan upgraded the stock from Underweight to Neutral and announced a $6 target. Aflac Incorporated (NYSE: AFL) rose 6.64 percent to close at $45.75. Aflac confirmed that it has engaged in discussions with Japan Post Holdings related to potential minority investment in company. Nordson Corporation (NASDAQ: NDSN) gained 6.33 percent to close at $119.16 following Q4 results. DAVIDsTEA Inc. (NASDAQ: DTEA) shares rose 5.85 percent to close at $1.99 after gaining 5.59 percent on Wednesday. Applied Genetic Technologies Corp (NASDAQ: AGTC) shares tumbled 47.1 percent to close at $3.47 after reporting the company’s gene delivery platform did not show signs of clinical activity and Biogen terminated their collaboration agreement. Tailored Brands, Inc. (NYSE: TLRD) dropped 29.84 percent to close at $14.13. Tailored Brands reported upbeat earnings for its third quarter, while sales missed estimates. The company cut FY18 adjusted EPS guidance. The company also announced it received notification from a significant U.S. customer of a decision not to renew an existing agreement in 2019. XPO Logistics, Inc. (NYSE: XPO) dropped 26.17 percent to close at $44.50. LogicBio Therapeutics, Inc. (NASDAQ: LOGC) shares dipped 21.77 percent to close at $9.70. Fred's, Inc. (NASDAQ: FRED) shares fell 21.43 percent to close at $1.98. Fred's reported a Q3 loss of $0.83 per share on sales of $306.413 million. Altimmune, Inc. (NASDAQ: ALT) shares declined 20.98 percent to close at $2.41 after the company issued clinical updates and announced plans to further expand its pipeline. Limelight Networks, Inc. (NASDAQ: LLNW) fell 19.31 percent to close at $2.59 after the company issued weak FY18 guidance. Five Prime Therapeutics, Inc. (NASDAQ: FPRX) shares declined 18.59 percent to close at $9.81. Yangtze River Port and Logistics Limited (NASDAQ: YRIV) tumbled 17.08 percent to close at $4.03. VBI Vaccines Inc (NASDAQ: VBIV) fell 15.66 percent to close at $1.40. VBI Vaccines priced its 26.8 million share offering at $1.40 per share. The Medicines Company (NASDAQ: MDCO) dropped 14.5 percent to close at $19.76 after announcing plans to offer $150 million of convertible notes. Level Brands, Inc. (NYSE: LEVB) declined 14.14 percent to close at $3.40. Level Brands posted a FY18 loss of $412,000 on sales of $8.4 million. Mesa Air Group, Inc. (NASDAQ: MESA) dropped 13.89 percent to close at $10.23. Rubius Therapeutics, Inc. (NASDAQ: RUBY) shares declined 13.88 percent to close at $17.06. EverQuote, Inc. (NASDAQ: EVER) dropped 13.69 percent to close at $5.17. NTN Buzztime Inc (NYSE: NTN) shares declined 12.88 percent to close at $2.03. SolarWinds Corporation (NYSE: SWI) shares fell 12.86 percent to close at $16.26. 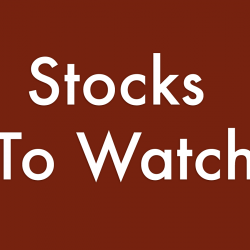 Sienna Biopharmaceuticals, Inc. (NASDAQ: SNNA) shares dropped 12.18 percent to close at $4.11. NF Energy Saving Corporation (NASDAQ: NFEC) fell 12.12 percent to close at $19.36 after rising 7.78 percent on Wednesday. Destination Maternity Corporation (NASDAQ: DEST) shares dipped 11.97 percent to close at $2.50. Alkaline Water Company Inc (NASDAQ: WTER) dropped 11.93 percent to close at $4.28. Marinus Pharmaceuticals, Inc. (NASDAQ: MRNS) shares fell 11.88 percent to close at $3.71. Marinus Pharmaceuticals priced its 12 million share public offering of common stock at $3.75 per share. Ascena Retail Group, Inc. (NASDAQ: ASNA) dropped 11.78 percent to close at $2.62. Tocagen Inc. (NASDAQ: TOCA) fell 11.4 percent to close at $9.95 after pricing a 3 million share offering at $10 per share. Net Element, Inc. (NASDAQ: NETE) dipped 10.76 percent to close at $7.05. Oxford Industries Inc (NYSE: OXM) fell 10.12 percent to close at $67.24 after the company reported downbeat results for its third quarter and issued weak fourth quarter sales guidance. Regulus Therapeutics Inc (NASDAQ: RGLS) shares fell 7.19 percent to close at $1.4200 after reporting a $20 million common stock offering. NCS Multistage Holdings, Inc. (NASDAQ: NCSM) declined 6.62 percent to close at $6.21. National Beverage Corp. (NASDAQ: FIZZ) fell 5 percent to close at $79.97 after UBS announced a sell rating on the stock.